Walking comes natural as part of bird watching, and bird watchers can walk as long as it takes to get closer to the birds. and a bird hiker often doesn’t pay much attention to anything else… The easiest way to recognize a bird hiker is when a tiny dot moves somewhere in the sky above, no matter how far away, birders are likely to loose sense of time and place and focus entirely on the dot in the sky. If needed they will grab to their binoculars, they always keep at hand… often worn to the blank metal and with a name like Zeiss or Leica still visible somewhere. Ultra high-end binoculars that cost more alone, than most other hikers spend on all their hiking gear combined. 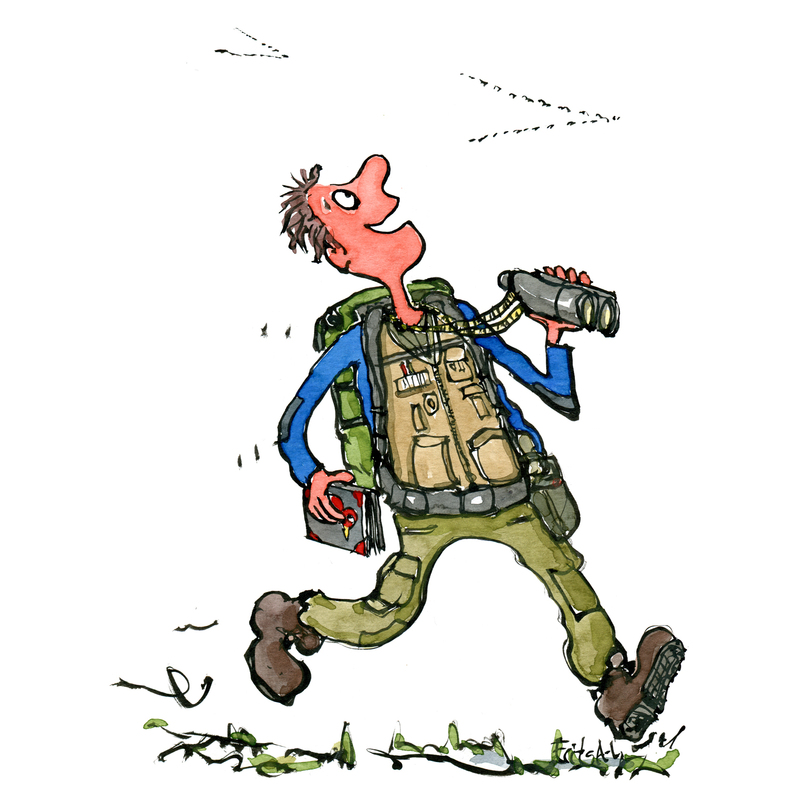 But then again, most birders doesn’t spend their money on much else than their binoculars… and they often last for many years, in a field where you never know when and if you get a second chance.